On New York Institute of Technology Week: How does architecture affect us? Dongsei Kim, assistant professor of architecture, looks to the Korean Demilitarized Zone to find out. Dongsei Kim is an architect, urbanist, and educator. His current research, focusing on architecture and urbanism’s relationship to nation-state borders across multiple scales, examines the notions of “inclusion” and “exclusion” and how “us” and ‘them’ are defined through various spatial practices. His research on the Korean Demilitarized Zone (DMZ) has been internationally recognized through multiple exhibitions and publications. Dongsei’s research on the DMZ border contributed to the Golden Lion award-winning “Crow’s Eye View: The Korean Peninsula” exhibition curated by Minsuk Cho, Hyungmin Pai and Changmo Ahn at the 14th International Architecture Exhibition directed by Rem Koolhaas (Venice, 2014). Recently, his work has been invited to exhibitions such as the “Active Archive” at the Seoul Biennale of Architecture and Urbanism (Seoul, 2017); “(im)positions” at Melbourne School of Design (Melbourne, 2017); “Over the Boundary” at the State Library of Queensland (Brisbane, 2016); “REAL DMZ PROJECT” at Art Sonje Center (Seoul, 2015); “Making Border” at DNA Gallery (Berlin, 2015); and “Cold War, Hot Peace” at Slought (Philadelphia, 2015). He served as an assistant professor at Korea University and an adjunct assistant professor at Columbia University, GSAPP before joining NYIT. Additionally, he has taught architecture, landscape architecture, and urban design studios and seminars at Carleton University (Canada); Kyung Hee University (Korea); Monash University (Australia); RMIT University (Australia); and Victoria University of Wellington (New Zealand). Dongsei practiced architecture in Wellington, Seoul, and New York, and gained his registration as an architect with the New Zealand Registered Architects Board (NZRAB) in 2007. He is an architect member of the New Zealand Institute of Architects (NZIA) and served as a Research Advisory Committee member at the Institute of Trans-Division and Border Studies (ITBS) in Seoul, Korea (2015-2018). 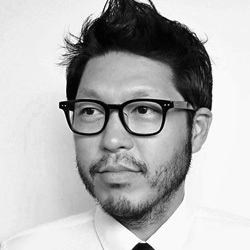 Dongsei holds a Master in Design Studies with Distinction from Harvard Graduate School of Design. He also earned his M.S. in Architecture and Urban Design from Columbia University, GSAPP and a professional Bachelor of Architecture with honors from Victoria University of Wellington. Many people perceive the Korean Demilitarized Zone as an impenetrable border. While nearly impossible to cross, it is also a blurred zone that rivers cross, migrating birds fly over, and propaganda balloons and broadcasts permeate. The DMZ is a changing political space, but often not considered architectural. Yet, how the border was drawn, agreed to, and built has architectural qualities. Architecture can impact nation-state borders by illustrating how lines drawn at different scales can be more about inclusion, rather than exclusion. Architecture envisions spaces through visual and experiential means. It is also fundamentally public, which allows it to actively engage the collective, providing opportunities to expand the role of design thinking on world issues, such as politics, inequality, sustainability. In this expanded context, I believe that architecture can become a productive platform to facilitate public discussion. My research examines the nature of spatial borders that define us versus them, so that architects can visualize spatial conditions of borders like the DMZ and remap them to envision alternative futures. Architects can envision the DMZ to make something different; namely, spatial design can help to improve inter-Korea relations. These include designing exhibitions, buildings, and urban spaces that highlight absurd conditions between the two Koreas or by emphasizing the productive potentials of these border spaces. By deconstructing the DMZ through architectural methods, we can challenge preconceived ideas to construct a new understanding about the other side of the border.